Making the decision to build a custom home is an exciting experience. The biggest decision associated with this is choosing where to build that home. If you don’t love your community, then it will be difficult to love your home. There are several things to consider when making a decision about the location of your new custom built home. For most families, safety is the number one concern when choosing where to build a custom home. Be sure to find out whether there is staff on duty throughout the night at the front gates of the community. What information is required in order to gain access into the community? Inquire as to whether there is police or private security monitoring the entry and exit of residents and visitors. Talk to your HOA to find out what steps are taken inside your community to keep you and your family safe all hours of the day and night. Finding the perfect balance of privacy and security in a community is essential for overall well-being and happiness. The aspect of community should be considered literally as well as figuratively. Feeling as if you belong to a community is so important for families when choosing their new home. A sense of belonging and inclusion is crucial for happiness in a new place. Will you be surrounded by like minded people that you can connect with? If you have children, then its important to consider whether this is a place you want to raise your kids. Maybe you want to talk with your future neighbors before you make your decision. By talking with future neighbors, you may get an idea of what its like to live in that community. They may raise red flags, or they may reassure you that you will love your new community. Verifying information is much better than simply assuming or wondering. You certainly don’t want to be surprised by anything after the building has finished and you’re adjusting to your new home. This can help put your mind at ease, or help you make a quick decision about what you don’t want. Most master planned communities and gated communities operate with a governing homeowner’s association. If you choose a community with an HOA, you want to be sure that you’re receiving all the benefits. You’ll often hear those within a community complain about their HOA. Making sure that your HOA is living up to the promise they’ve made you is essential. You also need to be sure that your HOA is offering all of the services that are necessary. You want to be sure that you’re choosing a gated community where the HOA recognizes the investment that you’ve made and is committed to honoring that. Ask a lot of questions about your HOA before choosing your community. Does the HOA ensure that crews maintain the property year round in the interest of the development’s upkeep? Is there snow removal in the winter to ensure a safe commute to work? We all know that location is everything. You’ll want to be sure that your new community is located in a spot that people want to be. This is a huge decision, so you need to make sure that you’re getting a return on your investment in years to come. Is this a place that people will continue to come ten years down the line? What is located near your new community that makes it unique? These “big picture” location question are important, but you should consider the “smaller picture” location questions as well. Will you be near an airport? It is Accessible? Are there gas stations, grocery stores, and restaurants nearby? Making sure that there is enough green space in between houses is essential for privacy and happiness. Most families don’t want to live in a gated community where houses are one right next to the other. You’ll want to make sure that you build a custom home on at least an acre of land. You’ll be able to tell fairly quickly whether the community focuses on low density planning. Also be sure to take a look at whether there is space set aside for neighborhood activities like biking and picnics. It is important to talk with your HOA to inquire about community guidelines. You don’t want to live in a community where guidelines are so strict that you don’t have any freedom to fulfill your vision. It is also important to make sure there are some guidelines. They key is finding the perfect balance. Each person has their own idea of what looks good. Making sure the community appeals to you personally goes without saying. If you don’t love the way the community look immediately, then you may want to move on. When you purchase a home site, will the community help you choose the right architects/ builders? You want to be sure that you will receive some assistance during this process. Each phase of the building process takes a lot of work and you want to be sure that you’re choosing the right people to work on your new home. Many communities that leave buyers to fend for themselves often create dissatisfied home owners. If you’re looking to build a custom home, then you will need to be sure that there is plenty to do nearby.Will you and your family continue to enjoy the hobbies and activities that you/they currently partake in? For example, if golfing is an important activity for a member of the family, then making sure there is a golf course nearby may be a priority. Doing your research about the area surrounding you ahead of time will end up paying off in the long run. Connect with St. James’s Village! If you’re interested in a Reno gated community that offers a convenient connection to nature, then you may choose to build a custom home in St. James’s Village. St. James’s Village is nestled at the base of the Sierra Nevada Mountain Range and is surrounded by tall pines. 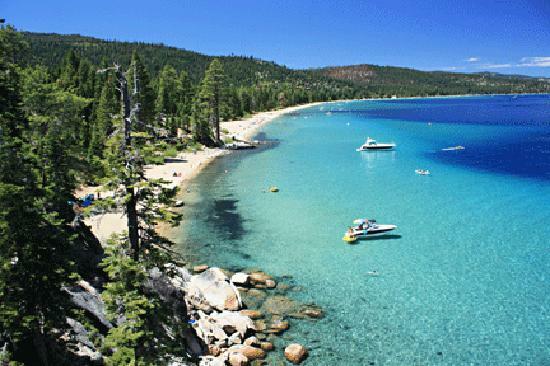 Its close proximity to Lake Tahoe makes the community ideal for an active lifestyle year round. Championship golf courses and world-class ski resorts are just minutes away from your front door. When choosing the perfect Reno gated community in which to build a custom home, be sure to keep in mind all of these different aspects. Fortunately, St. James’s Village can offer the perfect combination of exactly what you need. St. James’s Village will be with you every step of the way as you craft your personalized home from the foundation up. If you are interested in learning to build a custom home in St. James Village, contact us at 775-846-8585. Let us schedule an appointment for you to come out and see our many beautiful homesites and talk to our agents about building the home of your dreams. This article was posted in Custom Home, Gated Communities, Informational and tagged custom home, Gated Community, HOA, St. James's Village. Bookmark the permalink. Follow comments with the RSS feed for this post. Both comments and trackbacks are closed.